A wordless Wednesday, more or less. 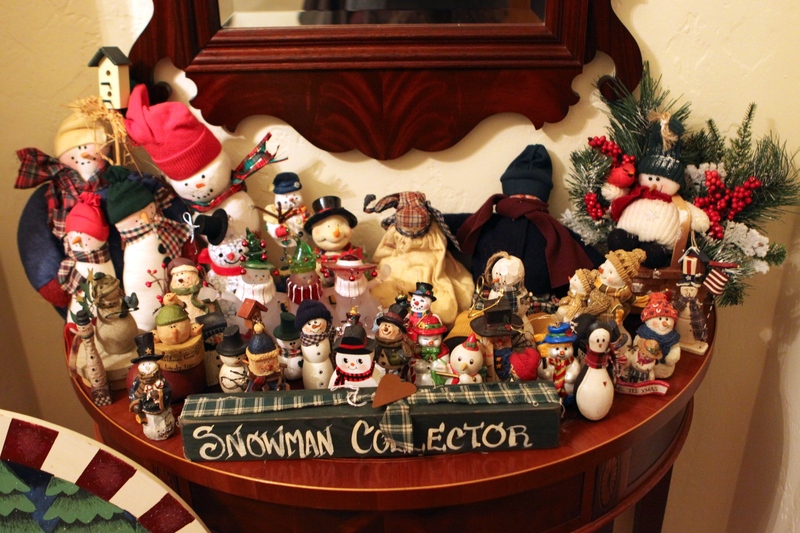 How Many Snowmen in this Collection? But the grouping is sweet. Turns out Tim never had a collection. And so the snowman collection began. But then it had to stop! Not sure which one was the first snowman in the collection. L. wrote and said she collects Creches. When is a collection complete?